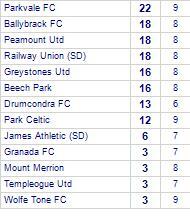 Peamount Utd despatch Ballybrack FC. Peamount Utd draw with Home Farm. 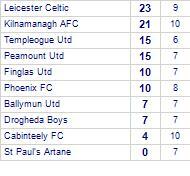 Leicester Celtic claim victory against Peamount Utd. 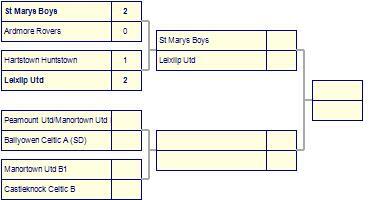 Leicester Celtic has yet to be beaten in this competition, having won every game. St Kevin's Boys despatch Peamount Utd. 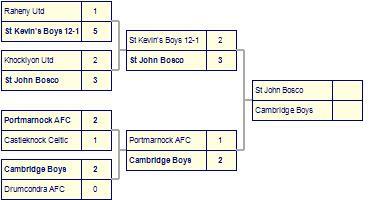 St Kevin's Boys has yet to be beaten in this competition, having won every game. Ballyfermot Utd claim victory against Peamount Utd. Peamount Utd suffer defeat to Castleknock Celtic. 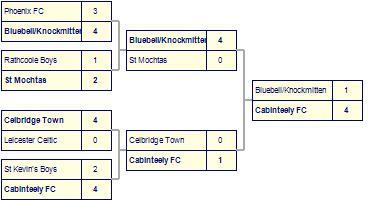 Castleknock Celtic has yet to be beaten in this competition, having won every game. 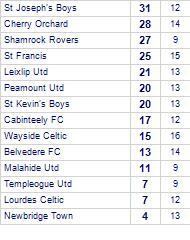 Peamount Utd despatch St Francis. 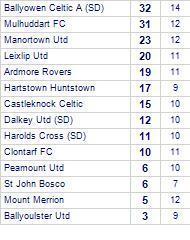 Harolds Cross (SD) draw with Peamount Utd. Peamount Utd beat Home Farm. Home Farm has yet to win in this competition, having lost all 5 games. Peamount Utd claim victory against Granada FC. 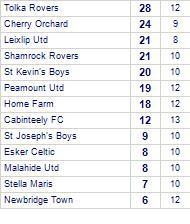 Peamount Utd have won 3 out of 4 home games. 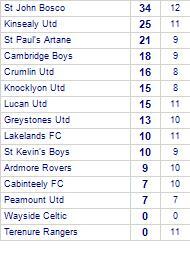 Lakelands FC are defeated by Peamount Utd. 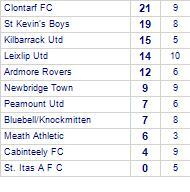 Crumlin Utd A suffer defeat to Peamount Utd. 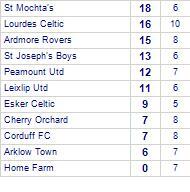 Ardmore Rovers are defeated by Peamount Utd. 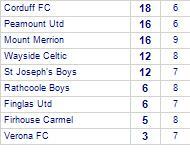 Wayside Celtic despatch Peamount Utd. Peamount Utd beat Beech Park (SD). 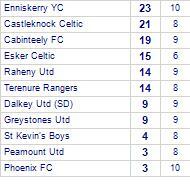 Peamount Utd take spoils against Enniskerry YC.